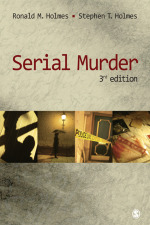 Serial Murder was written by Ronald M. Holmes, and Stephen T. Holmes. The 271 page book was published by SAGE in 2009 (originally in 1988) with an ISBN 10 of 1412974429. Most books are now available in ebook, pdf and audible formats. If you need more information about this publication, it can be purchased at Amazon.com or Google Books. If the book is older and/or out of print book try to locate a copy on eBay.com. Serial Murder mentions 25 serial killers including John Eric Armstrong. 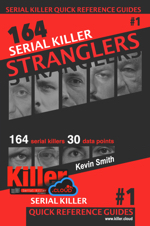 The author Ronald M. Holmes has 8 book(s) listed on Killer.Cloud used for the purpose of documenting facts about Serial Killers listed in our database. Plus 21 More Serial Killers. Provides a solid review of the subject, with an accessible, incisive presentation, including photos and features unique to this edition.